A couple of years ago I was watching the film Nanny McPhee with my children. 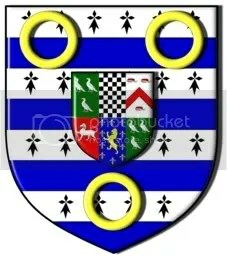 To my delight and their horror I spotted some hatchments. Initially I did a lot of stop & freeze frame on my TV to try to put together a blazon. 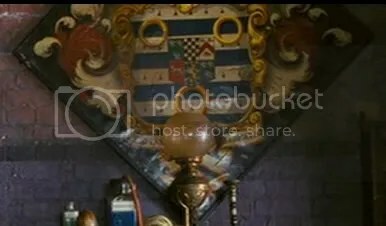 A year later I found the hatchment listed in Volume 10 of the Hatchments in Britain series in the Miscellaneous section – location unknown.